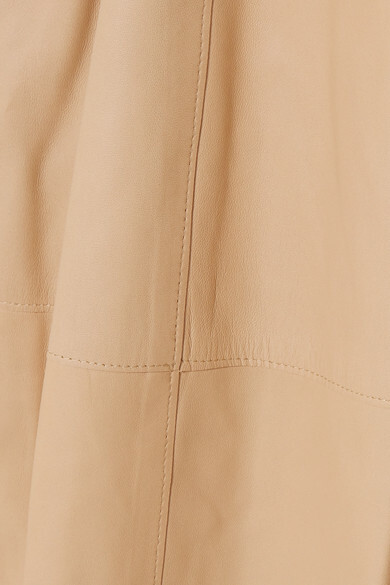 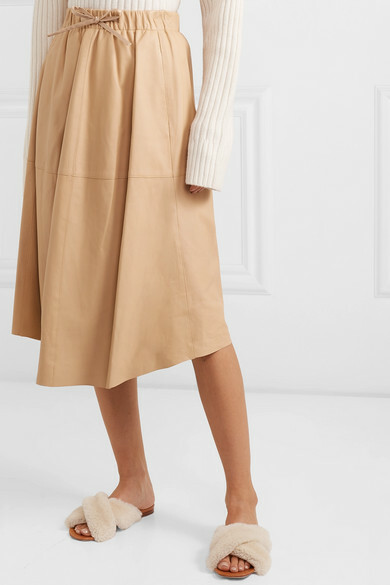 Cut from butter-soft sand leather, Vince's midi skirt has an elasticated waist which creates loose pleats through the front. 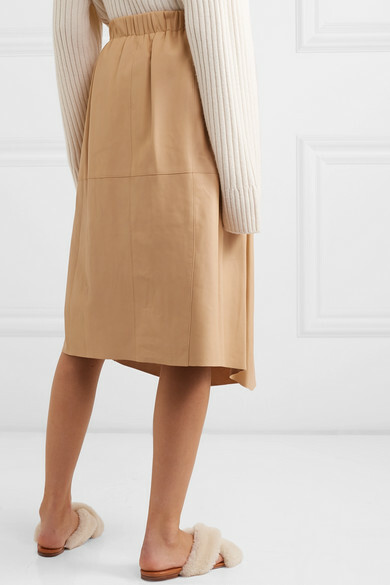 Our Fashion Market Editor, Libby Page, says that the key to nailing the neutrals trend for Spring '19 is mixing up your textures, so team it with a fuzzy sweater or silk blouse. 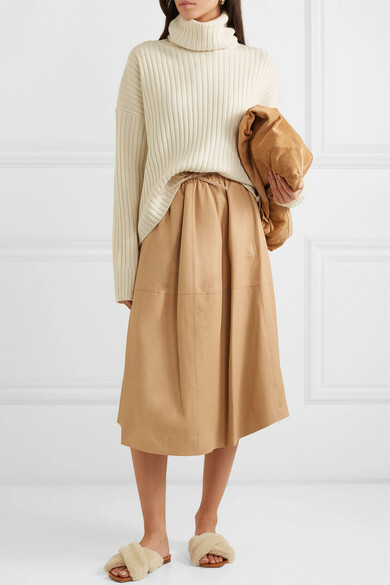 Shown here with: RE/DONE Sweater, The Row Shoulder bag, Rosetta Getty Sandals.